This Glen Scotia has some of the most whacky bottle-art around, but the new bottles indicate something more than just a contemplative cow- a higher strength, better flavoured Glen Scotia. Campbeltown whiskies are extremely rare these days, and Glen Scotia offers another opportunity to enjoy the pungent, slightly maritime style of Campbeltown. 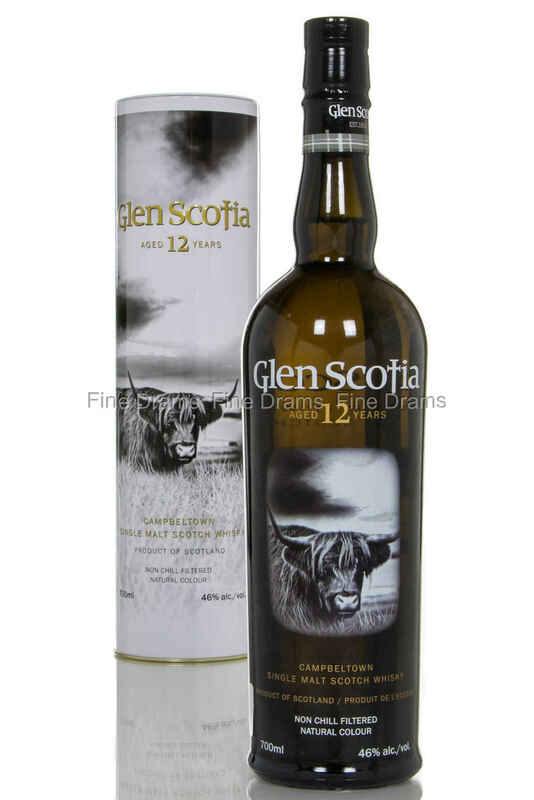 This 12 year old has a slight peaty quality, with a long woody floral finish. A great and unusual dram.